Hello Creative Index readers! I'm Anna and I'm so excited to hold down the fort today while Jessica is AFK. 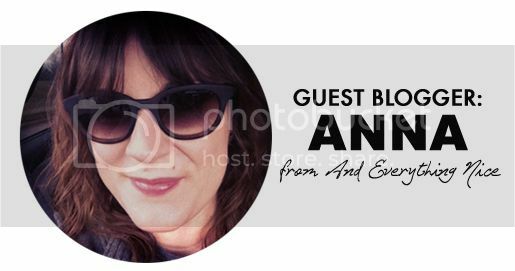 I feel so honored to be blogging at one of my favorite blogs. If you're like me, getting this close to Christmas with lots left to do can be a little stressful. I might have just the remedy you need to calm those Holiday nerves. I've been rounding up some of my favorite holiday inspired beverages and I get to share them with you today! 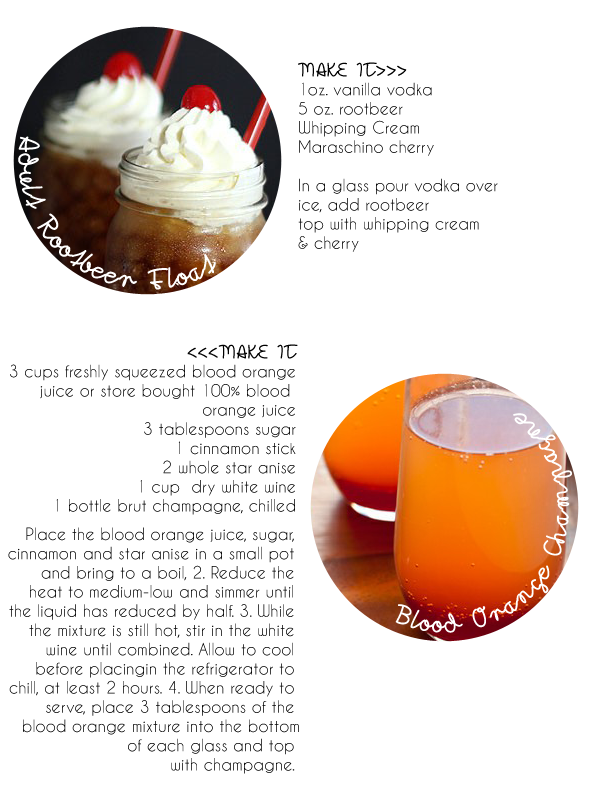 If you're hosting a Christmas party one or two or ALL of these drinks should be added to your menu. Nothing says Merry Christmas like a little bubbly. I wish I could top everything off with champagne. Wouldn't that be awesome? Like, my coffee, my water, my diet cream soda… mmmmmm. Ok, maybe that's a little too far, but you get the idea. I love me some champagne. Ok, not gonna lie. The spicy blood orange champagne punch sounds a little hard to make, but I'm willing to bet that it's worth it. Thanks again, Jessica, for having me today on your fabulous blog! What's your favorite adult beverage to get you in the holiday spirit? 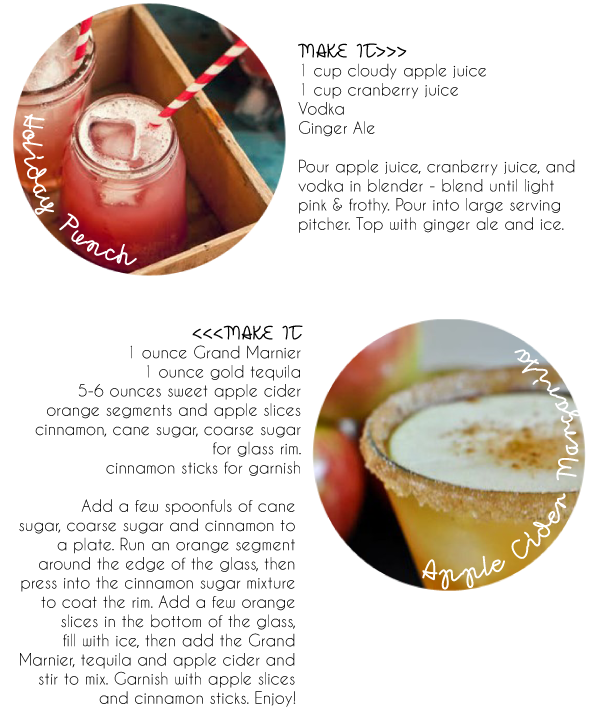 Thanks to Anna for hijacking the blog today and for sharing these super festive drinks. Have both a nice weekend! LOVe Anna!! And I want to try every single one of these...but I will have to wait till next year when I'm no longer preggo...mm I am dreaming ha! Ummm yes to the apple cider margarita!!! Looks delicious:-) Great post, totally tweeting this! Yum! I want to make them all. My personal holiday bevy of choice is my grandfather's eggnog recipe. You need a spoon to drink it!! !